Slice a zucchini lengthwise to make approximately 1/4" thick slices. Sprinkle with seasoning of choice (mine was lemon/pepper, salt, oregano, thyme, onion & garlic - I mix these together ahead and keep in a little spice jar). Grill in couple of tbs. of olive oil (on both sides) and top with a wee amount of butter or margarine on tops. Toast sliced ciabatta bread. Add swiss cheese slices on hot ciabatta, add eggplant, avocado, sprouts, and a dab of spicy salsa. 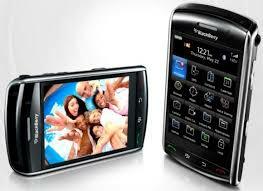 If anyone is interested in purchasing my Blackberry Storm and all the accessories, let me know. I am selling it and cases and other stuff for $100. (pic is stock photo). Contact Tami @ shellseeker08@yahoo.com or 303-766-9921.